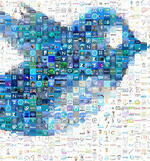 Let our expert advice made easy help guide your business into gaining a wider audience in the Twittersphere. A single tweet can reach millions of people, making it as potent as TV advertising when it comes to promotion – and tweeting costs nothing. Therefore, if you have something to promote, whether a product or service, Twitter is the ideal tool. However, there are drawbacks to promoting on Twitter, and many people fail to use the platform correctly. Including a promotional link in your tweet is a great way of attracting your customers to a particular product or offer. People will soon tire of you if you just send out tweet after tweet promoting your products or services. Users expect a little promotion, but if that is all you are doing, you will simply cause them to unfollow you. You need to get the correct balance between putting out engaging and useful content, and promotional material. While there is no hard-and-fast rule, it is perhaps not a good idea to send out more than one promotional tweet for every three tweets that contain non-promotional content. Hot Tip: Try to include powerful and evocative words, just as headline writers do. The more you can grab a reader’s attention, the more likely it is that they will click on your link. With just 140 characters, you cannot use a tweet as a sales pitch. The key to promotion on Twitter is to drive traffic to your website or sales page using a link. However, in order to get people to click your link, you will have to be creative. Benefits: Rather than try to sell a product in a tweet, outline a main benefit. Tease: Tempt users to click a link by making them want to know more about your product. 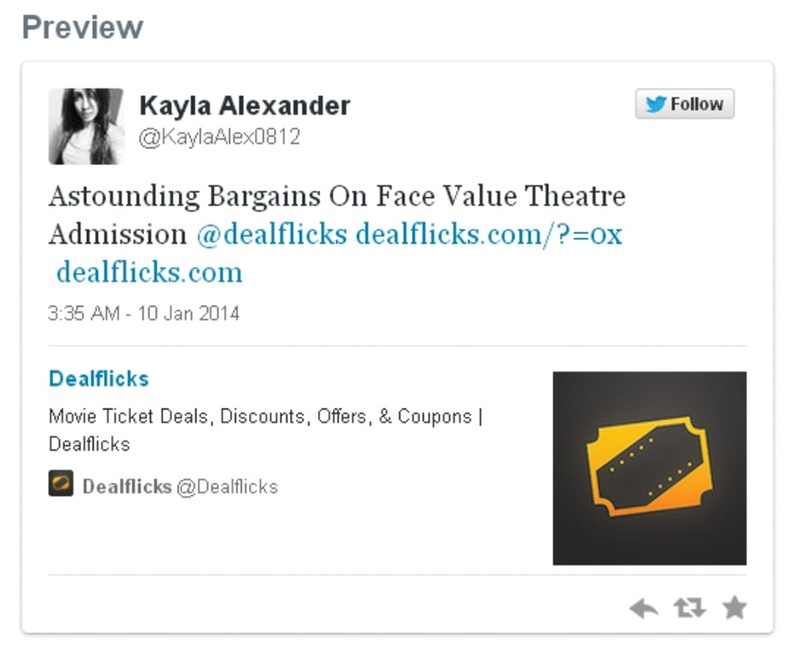 Reward: Offer discounts or freebies to make Twitter users feel privileged. Think before you type: make your promotional tweet sound too good for people to resist. 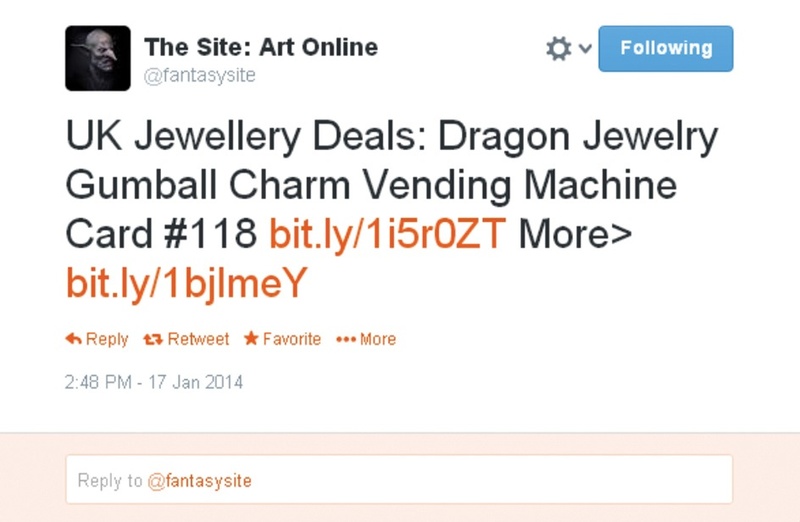 A promotional tweet has to centre on your link. Even if you are using a link shortener, space is going to be at a premium, so you need to compose your message as concisely as possible. All sorts of tools and Twitter clients can help you with your promotional efforts. Many of these allow you to do things that you simply cannot do using Twitter’s main interface. Scheduling tweets: Send out your promotional tweets when your Twitter users are most active. Automating tweets: Automatically generate tweets whenever you have a new product or service to promote, or send automatic responses to tweets when you are not online. Multiple accounts: Manage several accounts at once. Group: Separate your customers from your other Twitter followers. TweetDeck: Twitter’s own desktop client that has plenty of tools useful for promotion. HootSuite: One of the most popular Twitter clients available – and essential for any business managing multiple social media accounts. Zendesk: Lets you search for relevant content and import tweets into your business software. If you really want to reach large numbers of people and tap into the huge audience potential of Twitter, you may consider Twitter advertising. Twitter offers businesses three types of advertisements, so it is important to choose the platform that you think will be most effective for your brand building. Promoted accounts: Appear on people’s # Discover page as Twitter suggestions of accounts worth following. 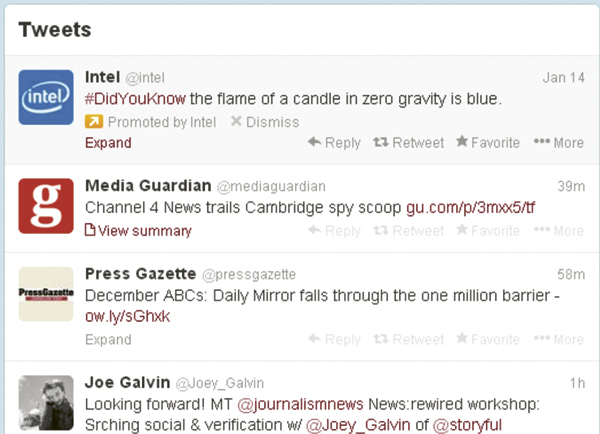 Promoted tweets: Appear on users’ timelines with their other tweets. Promoted trends: Appear on the list of trending topics. Promoted accounts are useful for building up a larger following. You can select the people you want to reach according to their interests, location or even gender. This ensures that you are only recommended to users who are likely to want to follow you. These appear in people’s Twitter feed. However, you can target users according to their interests, to specific keywords they have tweeted or to their location, thus ensuring that you are only advertising to people relevant to your brand. Useful for promoting projects or campaigns that you are running, promoted trends mean that your trend will appear at the top of certain users’ trending topics. Again, you can target the people who will see your advert and your promoted trend lasts for 24 hours. Twitter’s advertising prices are based on pay-per-action (PPA). This means that you only pay when a person follows your account (promoted accounts), replies, retweets, favorites or clicks a link in your tweet (promoted tweets), or clicks your promoted trend link. This pricing system is based on bidding, which means that you set the maximum amount you are willing to spend per follow or click. Visit https://business.twitter.com/ad-products, and click the Let’s go! button, as shown to the left. Select your business location from the drop-down menu and your estimated monthly digital advertising budget. Fill in details of your business and advertisement. Choose the type of Twitter advertisement you would like. Choose how you would like to target your tweets, such as by keywords or interests and followers. Set a daily budget for your campaign (Twitter will stop showing your ads once you hit that figure). Select a date for your promotion to begin.